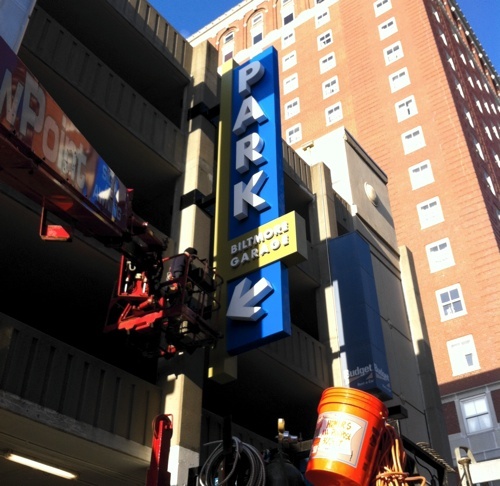 New sign at the Biltmore Garage, formerly “The New Parkade.” Photo from In Downcity. Really like the new signs at the Biltmore Garage on Washington Street. To celebrate the new signs, the garage is giving away free parking passes. Visit In Downcity for more photos and more information about the free parking.